Sol Fest was primarily a music festival featuring local bands including FOXTRAX, Swells, Sad Park and Vista Kicks. Photo by Patricia Carrillo. 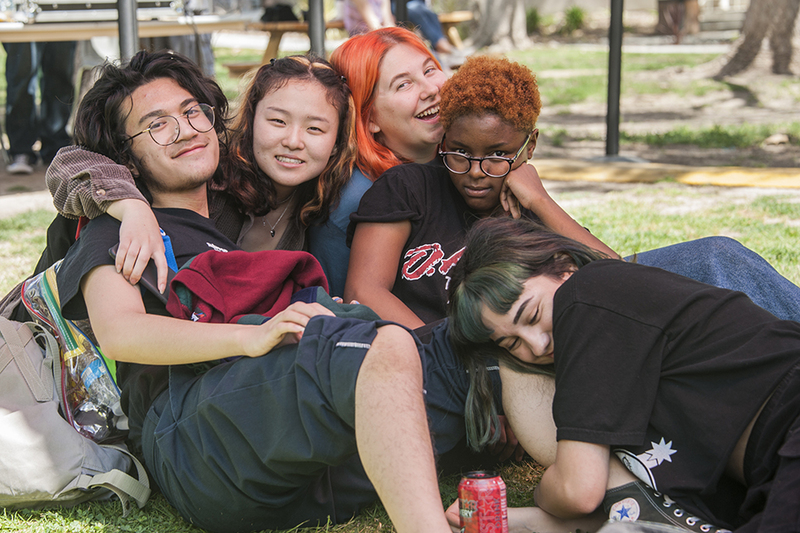 California State University, Norhtridge's Associated Students invited the community to the first-ever Sol Fest on April 7. 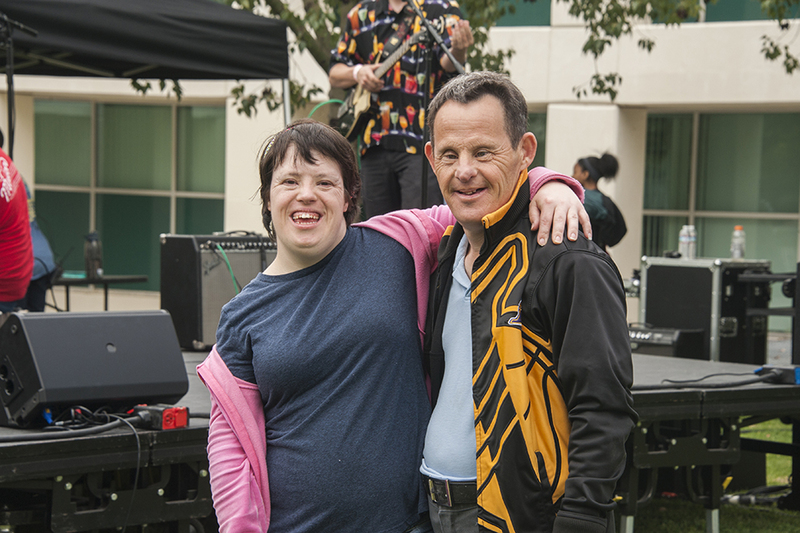 Approximately 750 students, faculty, staff and community members came together to enjoy local food, art and music. Photo by Patricia Carrillo. 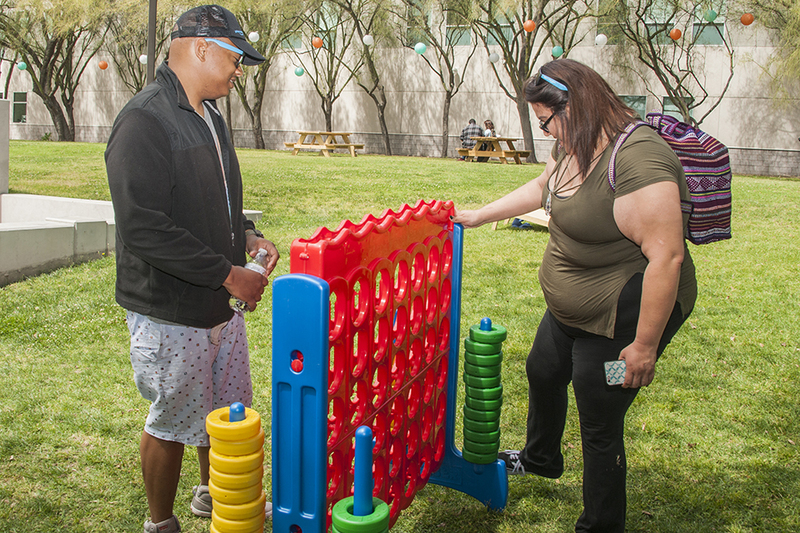 Attendees of the festival were able to play over-sized games on the lawn at Matador Square. Photo by Patricia Carrillo. 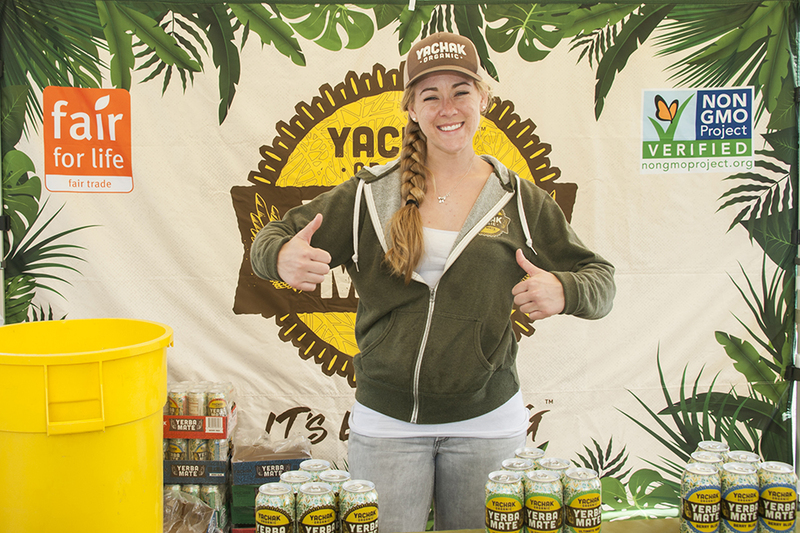 One of the Sol Fest vendors provided attendees with free yerba mates. Photo by Patricia Carrillo. Food vendors included Fries N More, Dulce Europa and Epic Tacos (photographed here). Photo by Patricia Carrillo. Associated Students plans on making Sol Fest a yearly tradition for the CSUN community and hopes to expand the event in 2019. Photo by Patricia Carrillo. 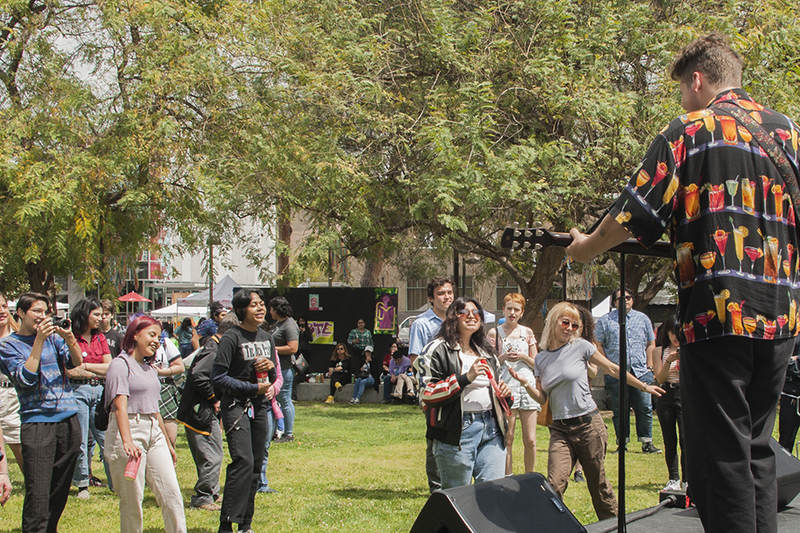 California State University, Northridge’s Associated Students (AS) welcomed approximately 750 students, faculty, staff and community members to the first-ever Sol Fest — a celebration of local music, art and food — on April 7. The goal of Sol Fest was to “bring a multi-stage music festival-style event to campus that featured a variety of music genres, [that is] free to students and the community to attend,” said Kira Paczkowski, program advisor for AS Productions. The event accomplished this goal, said Encino resident Donna Rosenberg. 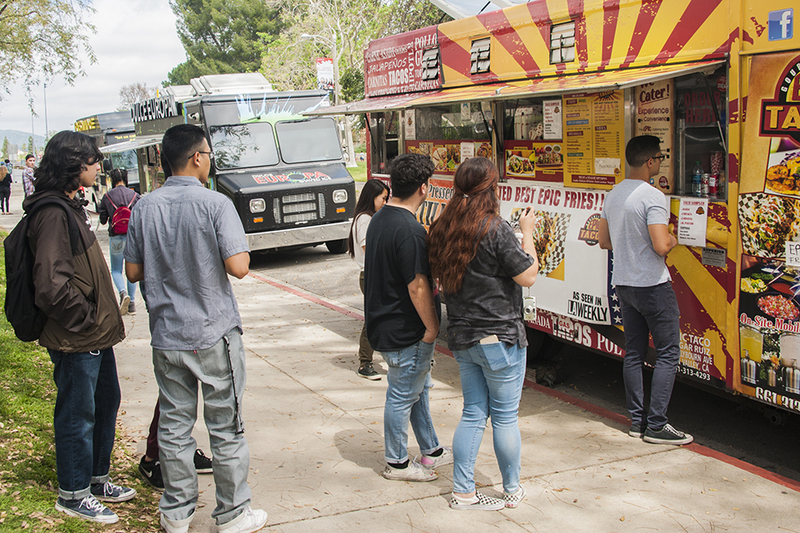 The festival featured local food trucks, including Epic Tacos, Dulce Europa Shaved Ice and Fries N More, as well as local art by CSUN students. The main attraction, however, was the bands. In order to accommodate more performances, Sol Fest featured two stages: the Sol Stage and the Luna Stage. Sol Stage performances included bands such as Mesophyll, Ariel View and FOTRAX, while bands such as Spookydelics, The Cozzmos and Beachwood Coyotes performed on the Luna Stage. Communication studies senior Yaniv Raymond said that he was pleasantly surprised by the bands’ performances. AS plans to make Sol Fest a production staple and will be hosting the event next year, Paczkowski said. For more information on AS Productions, please visit https://www.csun.edu/as/productions.